As we are humans. we tend to get affected by our surroundings, by our work pressure, by problems in personal or professional lives and by the behavior of our near and dear ones. This pressure results in rudeness in our behavior and sometimes we vent out our frustration by being rude to our close ones. Did anyone of us ever notice the after effects of it ? Did we ever think for a while that how our near and dear one would be feeling after we misbehaved.? Have you ever watched one person act rudely towards another? Isn't it embarrassing? You may well feel sorry for the target and maybe wonder if you should intervene or something. Did you know that it can also damage your mental performance, stunt your creativity and make it more likely that you will be less social towards others? It has been observed by different universities in researches that if you have been a target of rudeness or a witness that directly or indirectly affects one’s peace and performance. In subsequent tests, those who saw the rudeness solved less problems, came up with fewer creative ideas and were less likely to volunteer for other activities. So what's going on? When we see others being threatened or in distress, we tend to perform a threat assessment, wondering what harm may be done. We may well empathize with the victim, feeling their distress and perhaps wondering if we should intervene in some way. We may also worry about what we would do in their position. Maybe also we side with the aggressor, thinking that the target deserved the rude comment (though such thoughts seem less likely). Whatever goes through our heads, it takes cognitive effort and can be emotionally draining, all of which distracts us from the task in hand and may make us more reticent about sticking our necks out in future. 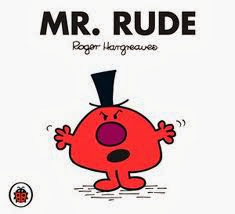 The implications for workplaces where rudeness is commonplace are very significant. It is not just the victims but everyone within earshot and even those who hear about it someway are affected. And the bigger sufferer is the employer, customers and shareholders. Now in order to get the victim out of this trauma phase , best would be to apologize . A proper apology should always include detailed discussion of the situation, acknowledgement of the hurt or damage done, taking responsibility, recognition of role in entire situation, statement of regret, asking forgiveness, promise that it won’t happen again and most important trust in the relationship.